So one thing is for sure, I love my OTK boots or "over the knee" boots as we all might know them. Fall style is my favorite style because boots are probably my favorite type of shoe. So for today's post, I wanted to share some inspiration if you are going out to take advantage of the Columbus Day Sales! 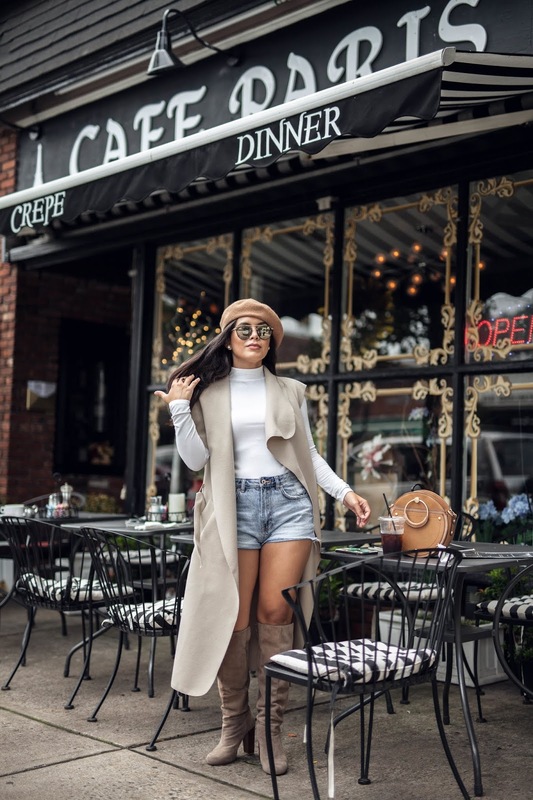 So I've gathered my favorite OTK boots under $150 that you can rock this season. Rock them with skirts, shorts, leggings and denim of course. This outfit was inspired by Kyrzayda months ago and I got to shoot it with Geri last month and loved the turnout. These are all easy pieces that you can transition all year long and truth me told, not one of these pieces is new... always dig through your closet and get creative. 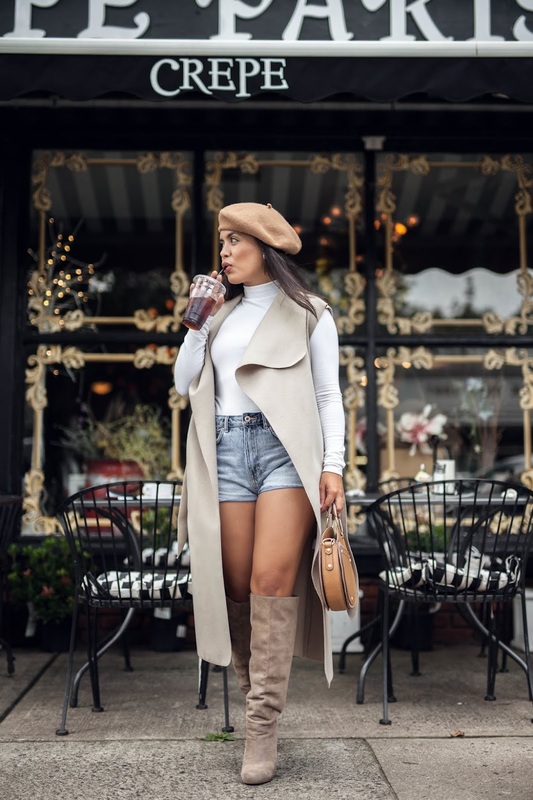 For this season I would mix summer and fall pieces, like you see here... denim shorts and this amazing long sleeveless jacket. Add some fun accessories and you're golden. Have a happy Columbus Day, I hope you are off at home like me! And happy shopping!